Will we ever get tired of hearing that real estate prices are falling? Not really, especially if you are looking to take your cash and jump into the landlord game. Investors look to maximize the return on their investment, from the onset. Regardless of the length of time that an asset (like real estate) is held, investors need their investment to “yield” (commonly known as a capitalization rate: net operating income /sales price) of at least 5-6% annually. In Naples, where demand for condos is split between seasonal and annual renters, finding a true investment opportunity can be tricky, but not impossible. 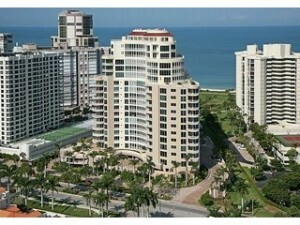 As of November 1, 2010 there were 434 condos and villas in Naples available for sale under $100,000. Select a property based on the rental opportunities that currently exists. Purchase a property only when the cash flow meets your investment return requirements. Don’t buy on what may happen, but instead of what is actually occurring today! Well-priced properties are attracting the interest of serious buyers in the Naples market. While activity levels for condominiums sales under $300,000 remain high, buyers with larger budgets have entered the market. Sales of condos in the $1M-$2M range doubled in the first quarter of 2010, as 146 contracts were written as compared to 73 during the same quarter in 2009.